The mission of the Parent Teachers Association (P.T.A.) 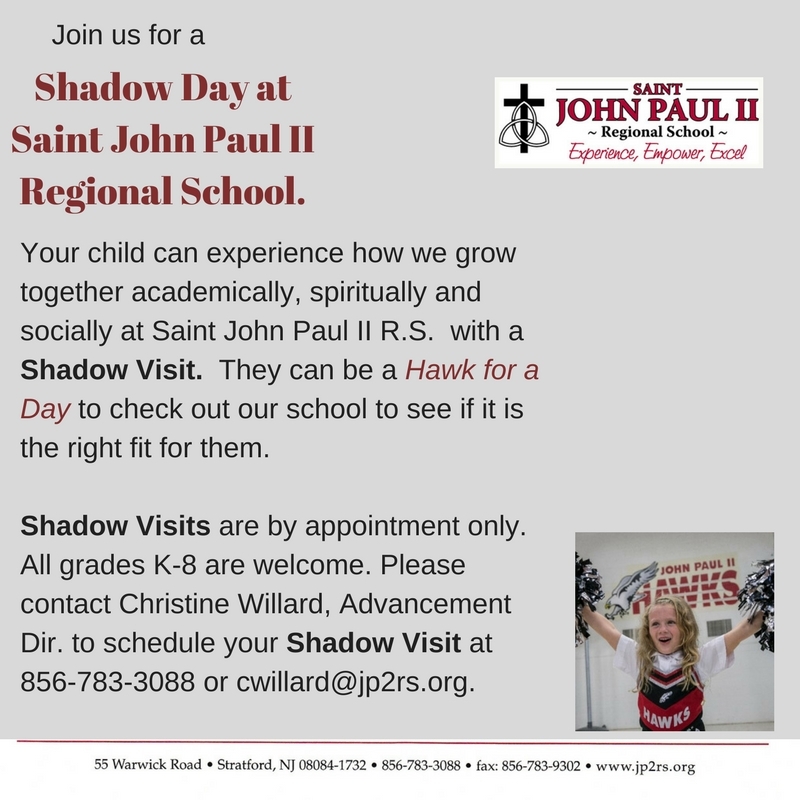 of Saint John Paul II Regional School is to serve our community in a Christian spirit to grow and sustain our Catholic school. Mindful of the fact that parents are the primary educators of their children, this organization dedicates itself to offering encouragement to parents in their parenting role. At the same time, this organization forms a mutual partnership with the administration and faculty of the school, striving to provide the support necessary for each and every child to be offered a quality Catholic education. Volunteer for 2017-2018 with SignUpGenius.